Pushbullet, the service you once loved but now seem to hate because they want to make money and survive as a company, introduced a new feature today for both free and Pro accounts. 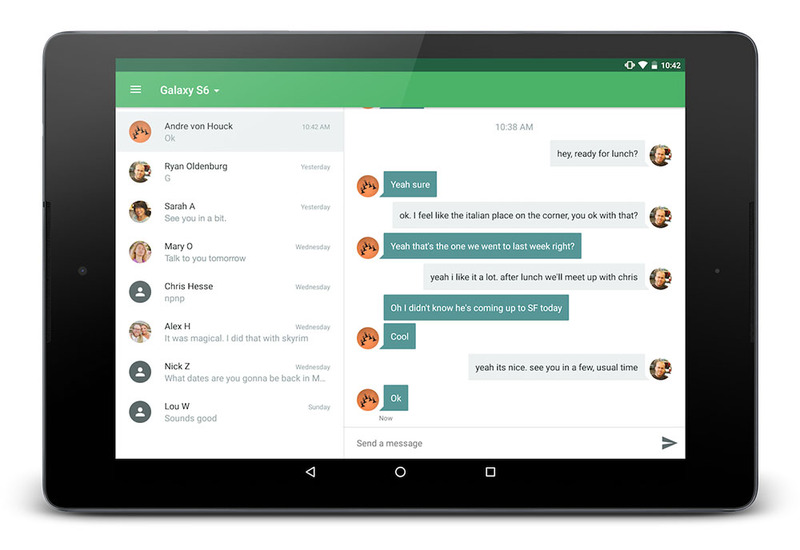 That feature is an option to send text (SMS) messages from tablets. That’s a big deal, because well, tablets aren’t attached to phone numbers and so you haven’t been able to do things like send SMS from them in the past. To get tablet texting up and running, you’ll need to have Pushbullet up and running on your phone with SMS sync enabled. Once you have that enabled, install Pushbullet on your tablet and look for an SMS option in the app’s main menu. See it? Good. Send away! The SMS from your tablet are actually being routed through your phone, in case you were wondering. That way, they come from your phone number, which is exactly what you need to have happen. Don’t worry, no one can tell that you are actually sending messages to them from a tablet (not that that matters). Oh, and you can choose which phone to send through, should you have more than one phone number. As of today, tablet SMS sending is free, but come December 1, the number of them that you can send will depend on your free or Pro status. On that note, because you all loudly expressed concern over Pushbullet’s Pro plan and pricing method, they are (were) running a reddit AMA to answer your questions. If you are in the group who hates the piss out of Pushbullet at the moment, head over there to read through the conversation.